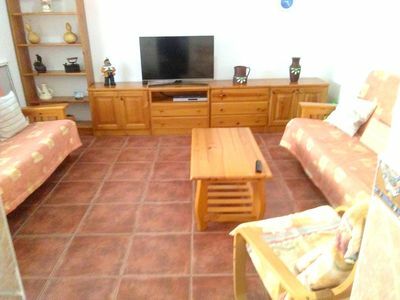 Beautiful semi detached villa with 3 bedrooms and 2 bathrooms with free wi-fi. An exquisite communal pool complete with children's pool which is set in tropical gardens, surrounded sun terrace and poolside shower. 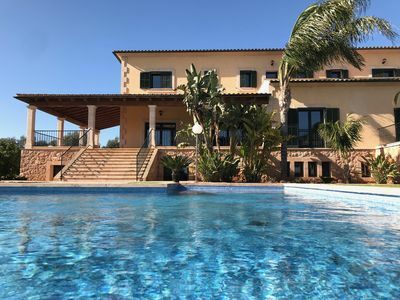 Casa Louisa is in the Costa Nova area of Javea and therefore benefits from a selection of excellent restaurants available with in walking distance of the villa, including Spanish, Italian, Greek and Indian. 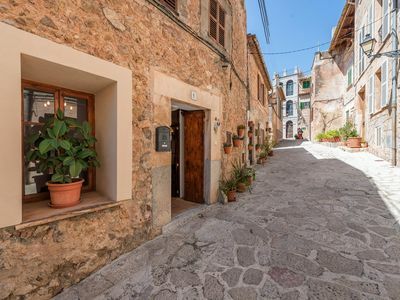 There are also a few bars you can walk to as well as a mini market with bakery to get your fresh bread and croissants for breakfast. 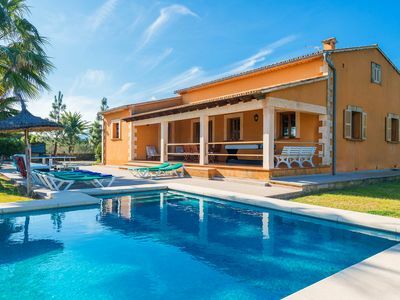 This villa has been refurbished early 2018 and benefits from a new fully fitted kitchen with fridge-freezer, dishwasher, oven and hob, microwave, toaster kettle etc. and a back door with access to the washing machine. 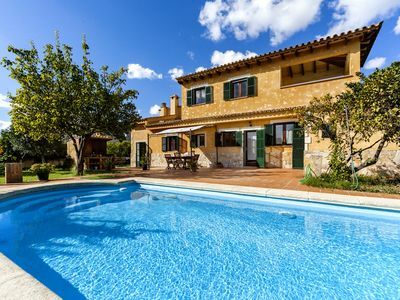 There is a spacious dining room with Tosca stone archway to the lounge which has comfortable seating for 6 people, a Tosca stone fireplace, traditional barrel vaulted beamed ceilings and has satellite TV with UK channels and free wi-fi. Also accessed from the dining room is the delightful relaxing sun room which opens out to the private garden with "al fresco" dining area with barbecue. 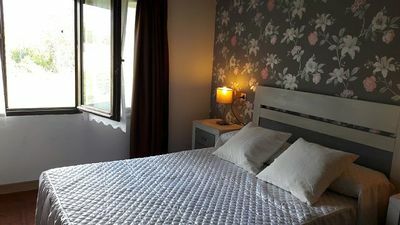 The master bedroom has a king size bed, fitted wardrobes, ceiling fan and a recently refurbished en-suite shower room. The second bedroom has a double bed, fitted wardrobe and a ceiling fan. The third bedroom has two single beds, a fitted wardrobe and a ceiling fan. The family bathroom is also newly fitted with a bath with shower above, a wash hand basin and a WC. 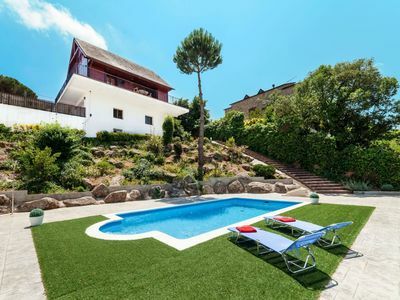 As mentioned there is a luxury communal pool with steps, for those who prefer a gentle entry to the water, a feature Island and a children/toddler's shallow pool. 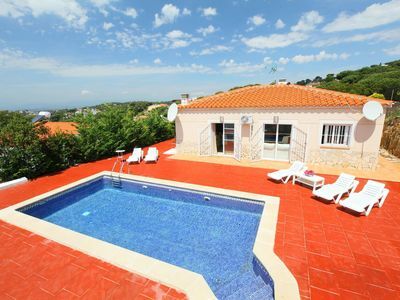 The whole pool is surrounded by sun terrace and beautiful tropical gardens. 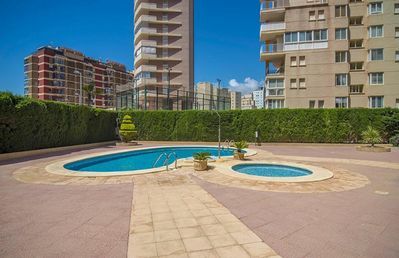 The pool and communal gardens are accessed via the back garden. 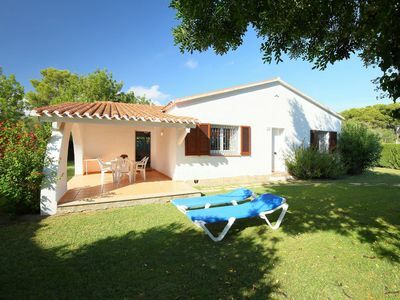 Casa Louisa shares front garden with the attached smaller villa and also enjoys a private south facing garden to the side/rear. There is a private off road parking for two cars. For those who enjoy walking you can also walk to the breathtaking "Miradores" (viewing points). From one of the viewing points, Cap de la Nau, you can see Ibiza on a clear day. There you will also find two restaurants to sit and take in in the view and maybe enjoy lovely food and wine too! 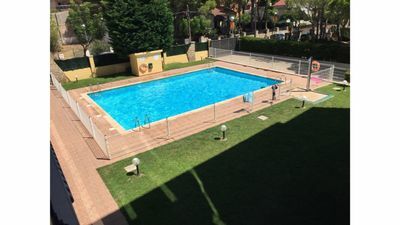 Javea also has a Golf course which is about 10 minutes drive from the villa, Tennis Courts approx 5 mins walk from the villa, bicycle hire, numerous diving schools and water sport activities to take part in. 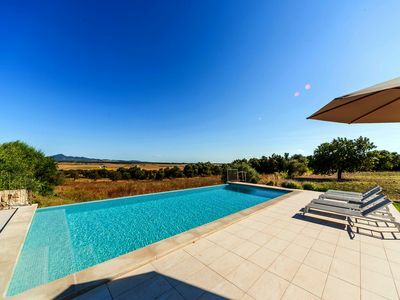 For larger groups travelling with with friends/family we have 2 other villas within 2-3mins walk of this property available, catering for up to 20 guests in total between the 3 villas. Please enquire for details. 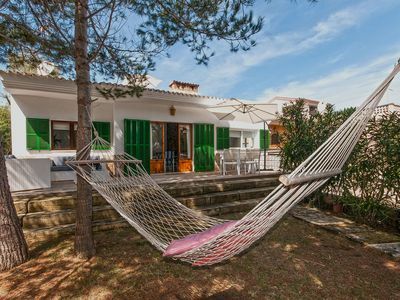 Wonderful Casa de la Selva for 12 guests, just 22km to the beach! 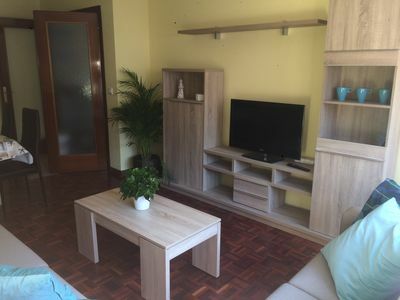 Beautiful apartment in Hospitalet del Infante for weeks.